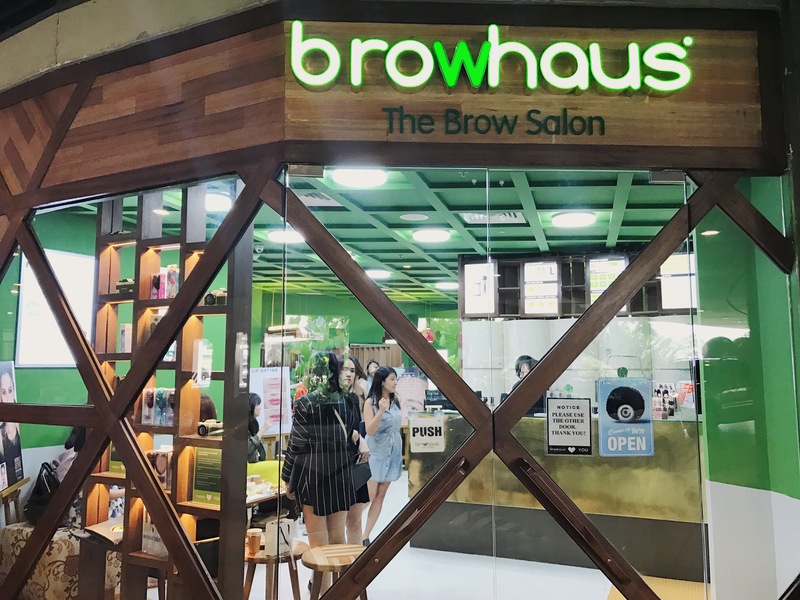 Other Branches: Aside from their newest branch in Trinoma, Browhaus is also located at Greenbelt 5, Megamall, Serendra, Rockwell, and Lucky Chinatown. 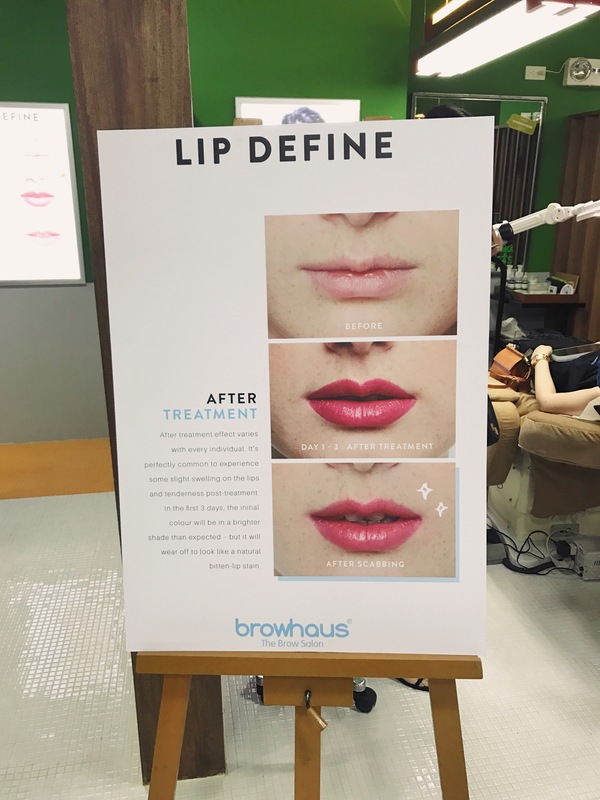 Services Offered: Browhaus has a wide range of services offered from brows to the lips. 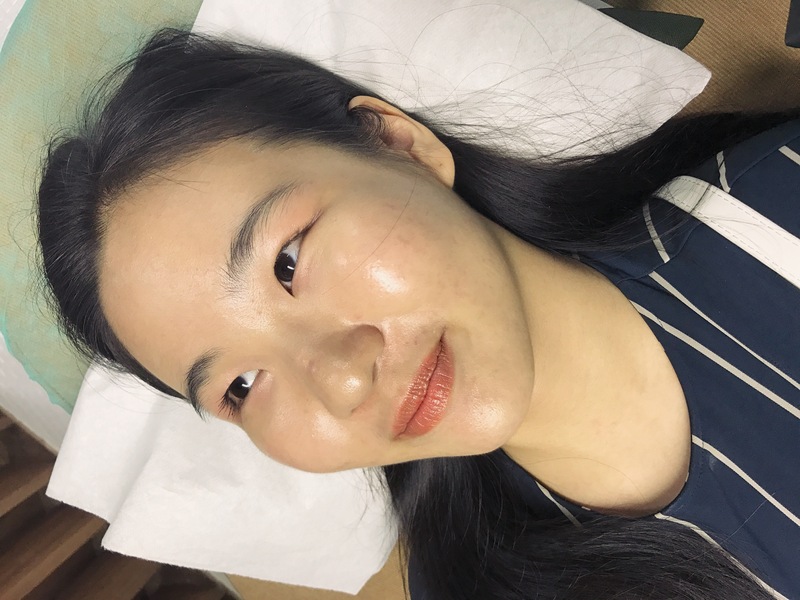 Some of the most common for the eyebrows are the classic threading, modern tweezing, color tweak, and brow resurrection. 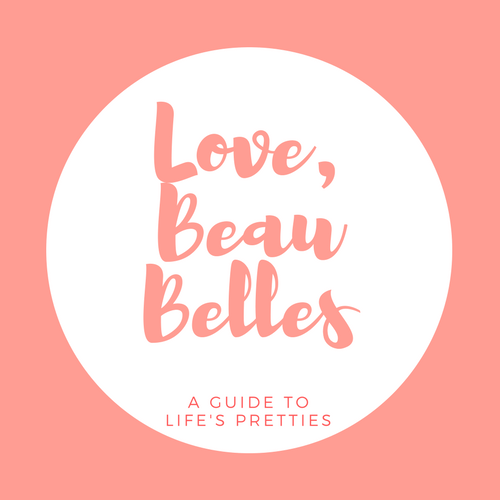 For the lashes, they offer curl up, change of color, and more. For the lips they offer lip define which is a semi-permanent lip liner that makes the most of the shape of your mouth. 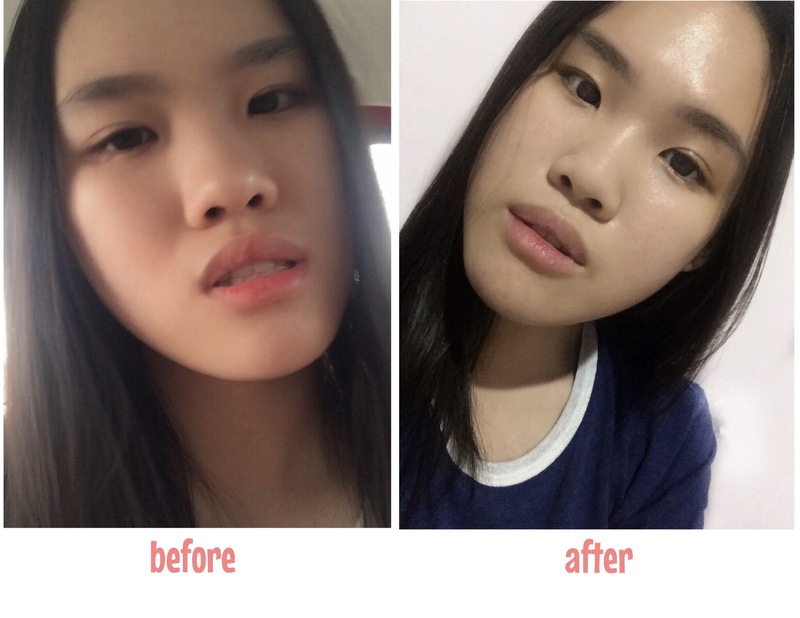 It’s able to define or correct lip shape, fill in color, and plump the lips as well. 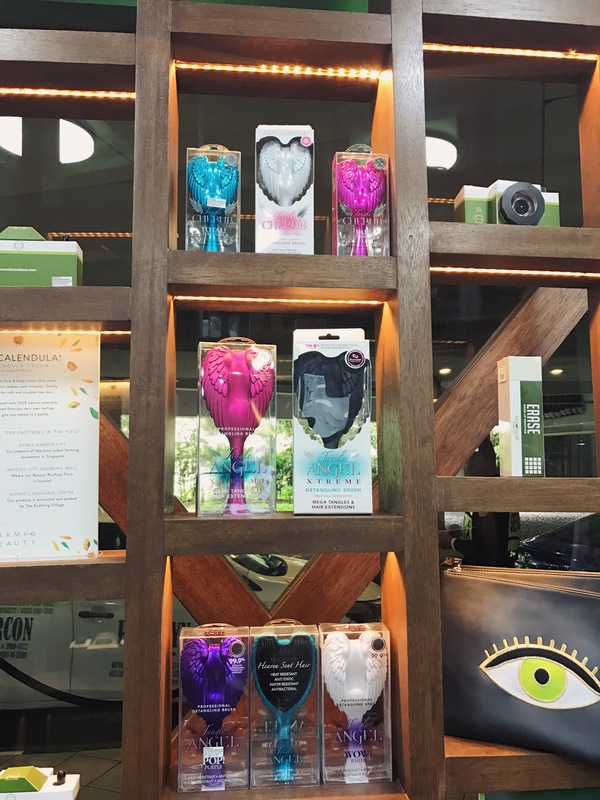 Browhaus Trinoma branch just opened recently, and to celebrate its opening, Browhaus hosted a brunch event for bloggers to showcase their services and give a beauty talk. 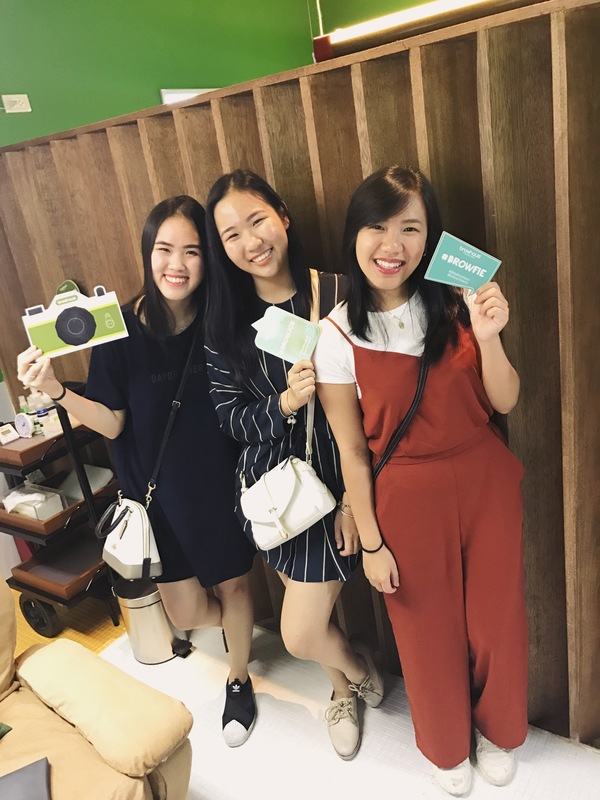 There was finger food available for brunch while bloggers and Browhaus representatives alike chatted over the various services the place offers, their philosophy, mission, and many other details, while sharing beauty tips along the way for everyone. 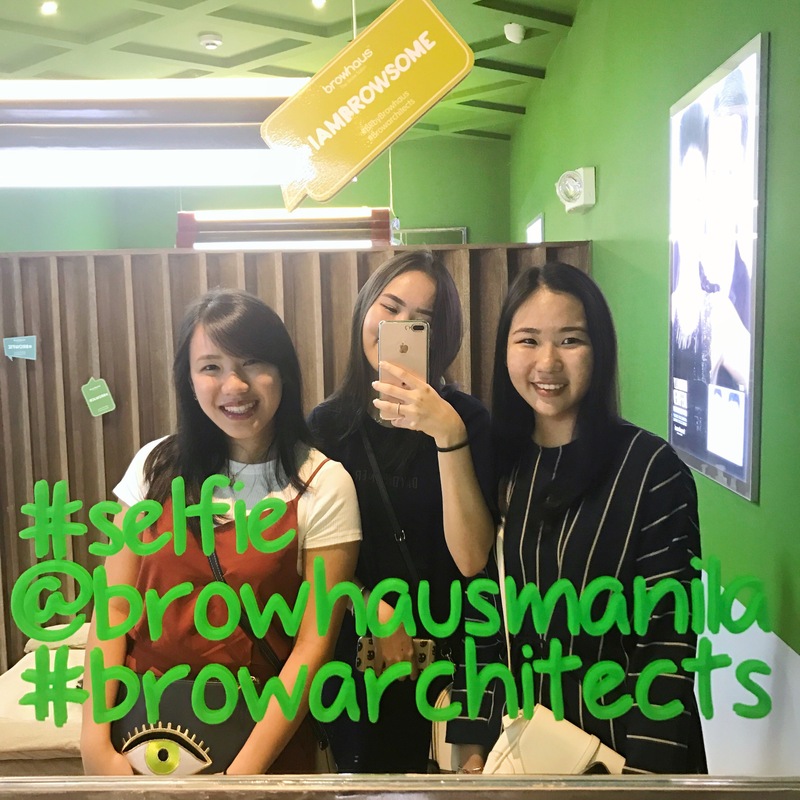 It was mentioned that Browhaus incorporates the farm-to-beauty policy wherein plants are grown on a rooftop garden in Singapore, and those products are directly used to make products incorporating ingredients such as Calendula and Aloe. Due to this, stocks are minimal but high in quality and worth every penny. They also explained the meticulous process they go through before opening a new branch. For example, the interior varies in each branch, and they put a lot of effort into looking for particular pieces as decor and in planning the layout. 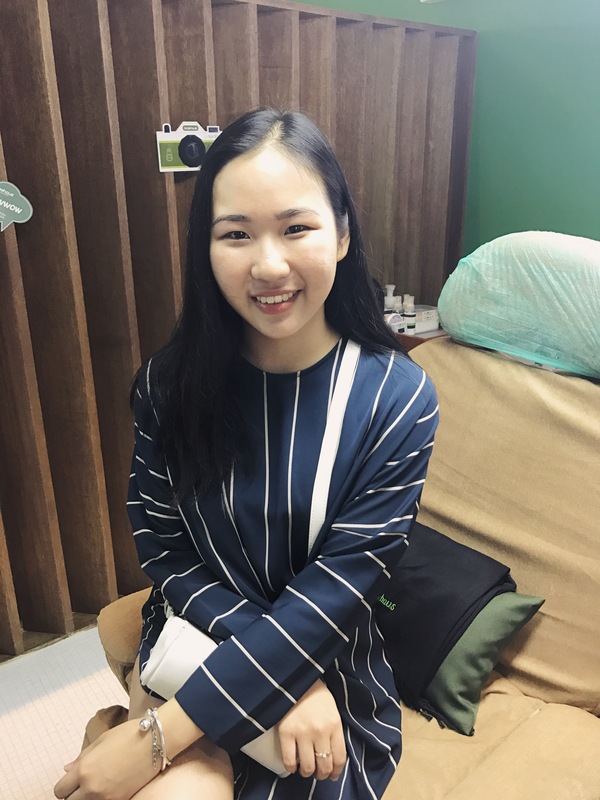 As per the training of the staff, they also invest a lot of time and effort, even sending them to Singapore for a month of training. 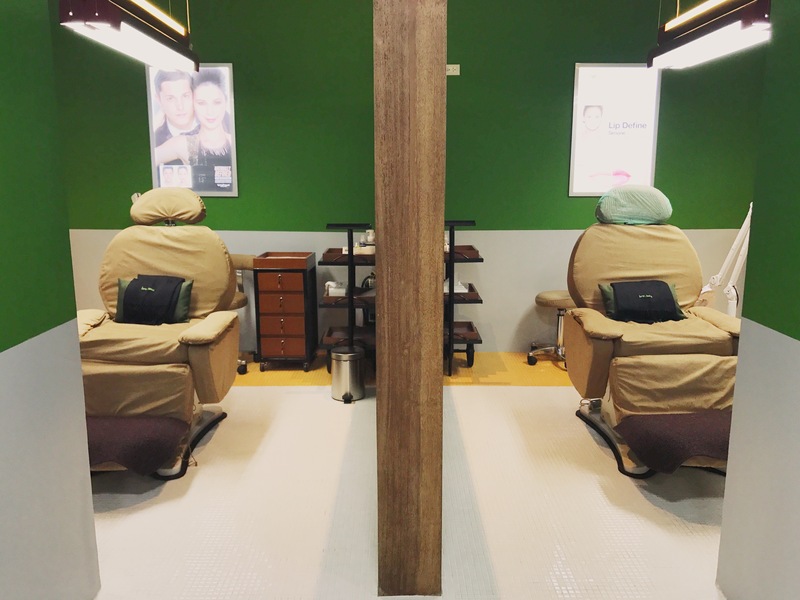 Certain objects such as chairs are also made especially for Browhaus, and it’s inspiring to see a brand sincerely invest in providing the best services without settling for mediocrity. 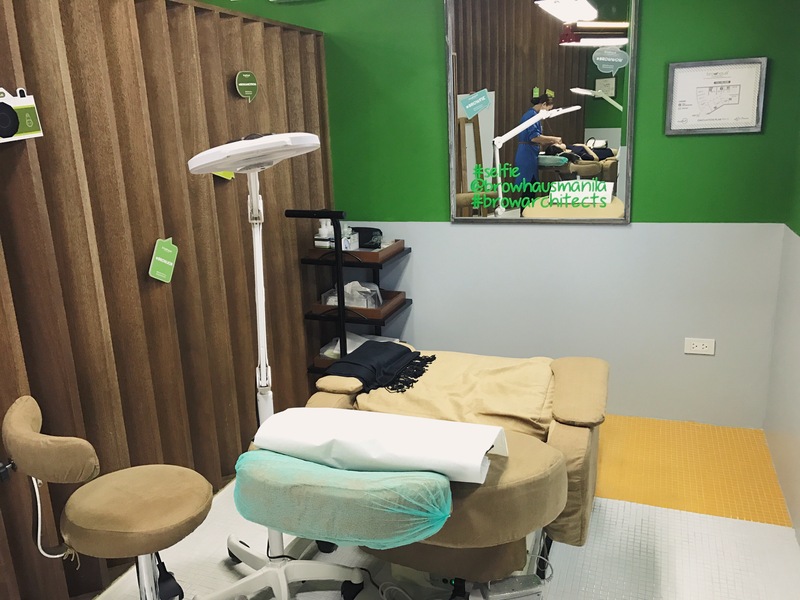 The overall atmosphere is warm and accommodating, and large emphasis is placed on the satisfaction of customers regardless of age, gender, and required service. After the wonderful talk, we were also given the opportunity to try their services. 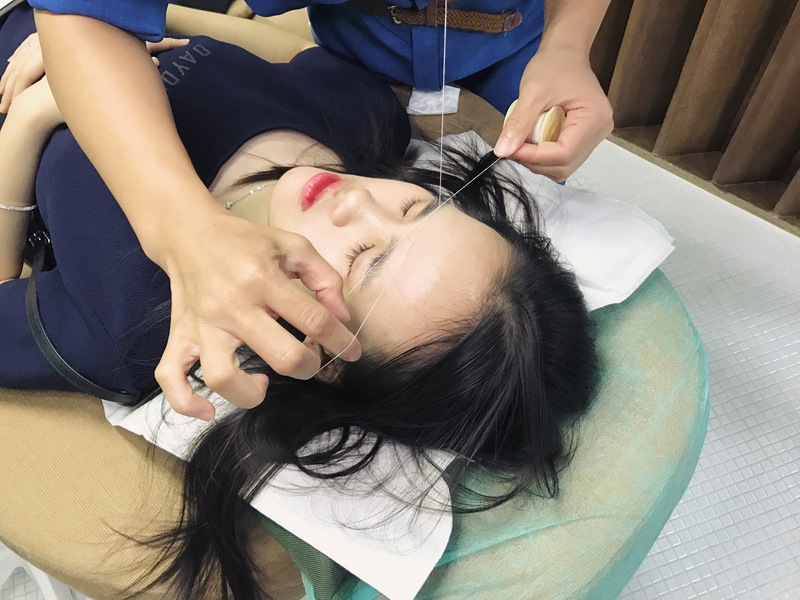 We all opted to have only threading done, except for Beryl who also had her brows darkened. 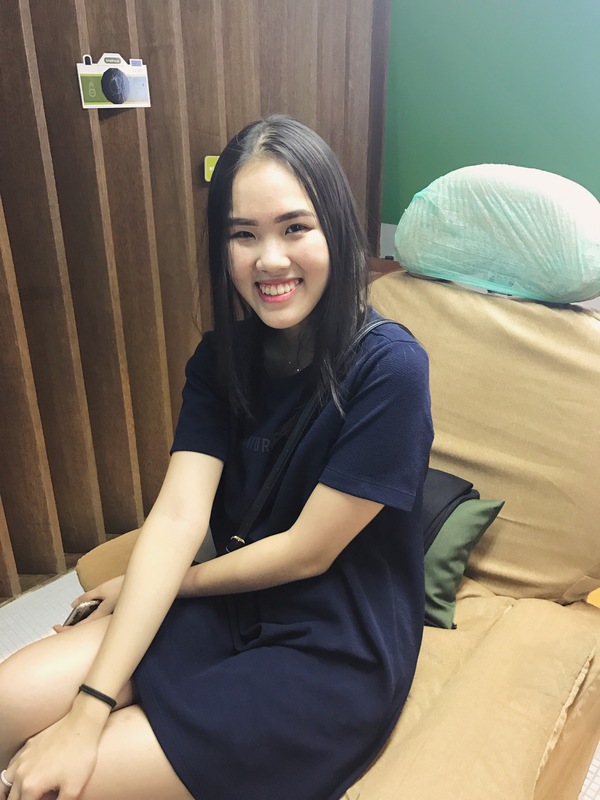 We were completely amazed by the service and amiability of all staff members. 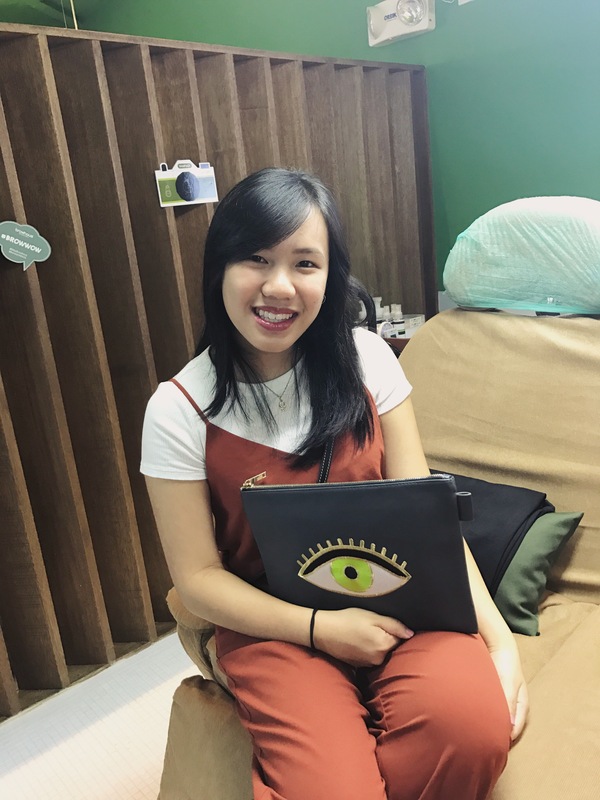 The whole threading experience was great, because we really felt like they cared about making our brows look good, but at the same time cared as well about our feelings. 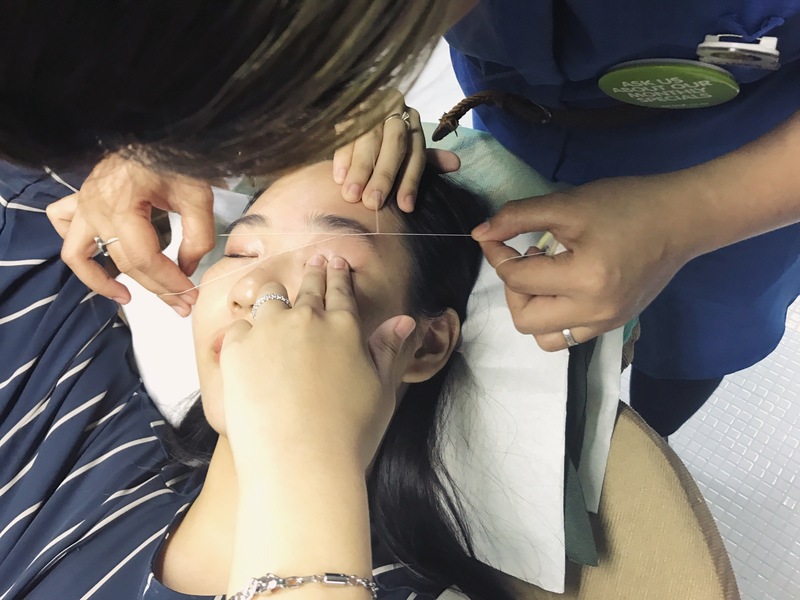 😂 Usually threading hurts like hell, but in Browhaus it was done very gently and carefully, but with precision. 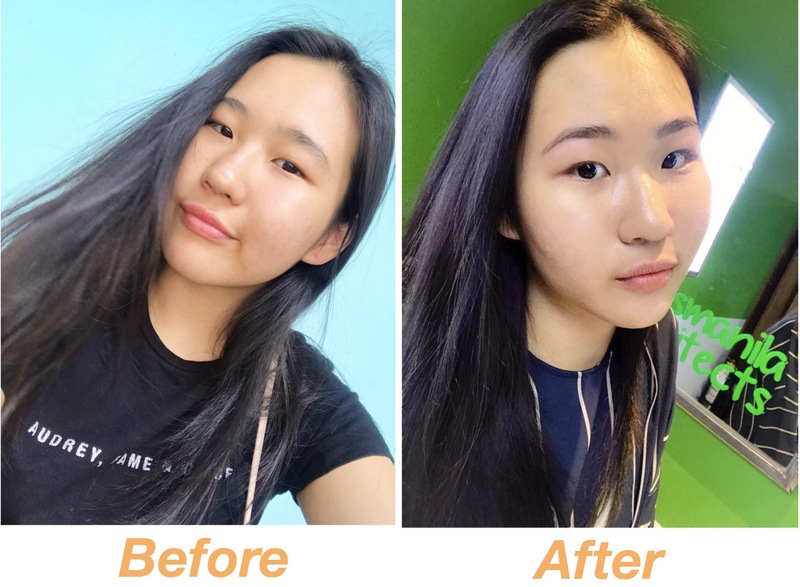 It lasted for only about 10 minutes, and we really felt that our brows were in good hands. 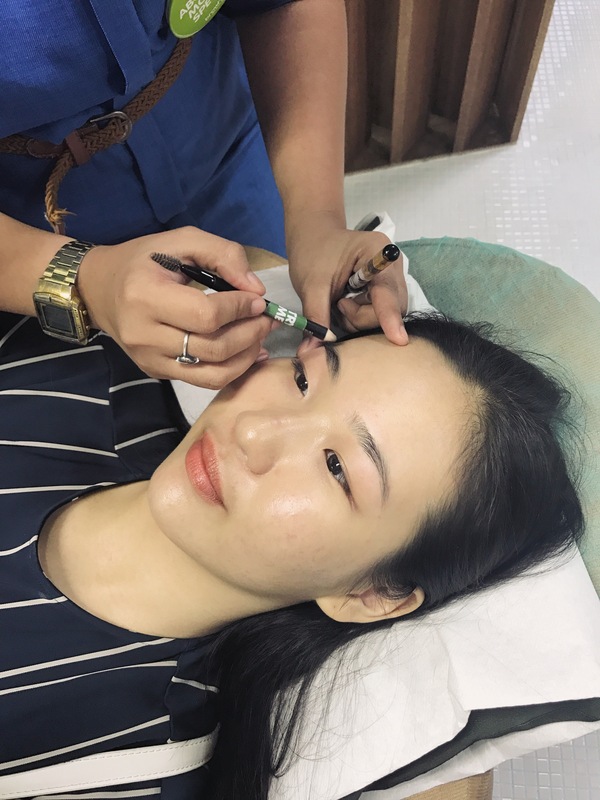 The staff also take the time to fully explain to you what your eyebrows are like and how to bring out the best in them. The entire experience was wonderful, knowing you’re in the hands of experienced people who are passionate about their work. The end result was just… WOW. 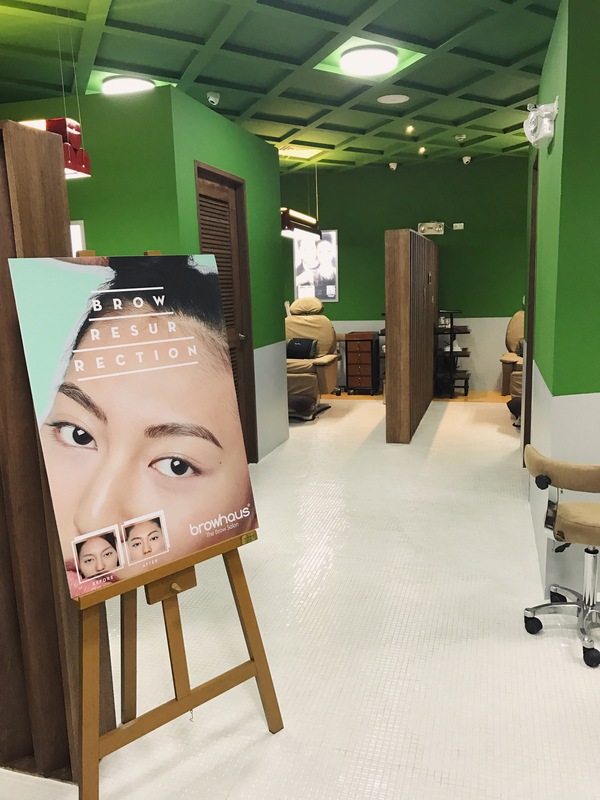 Aside from treatments, Browhaus also offers a variety of products such as eyebrow pencils, eyeliner, moisturizing creams, and much more. 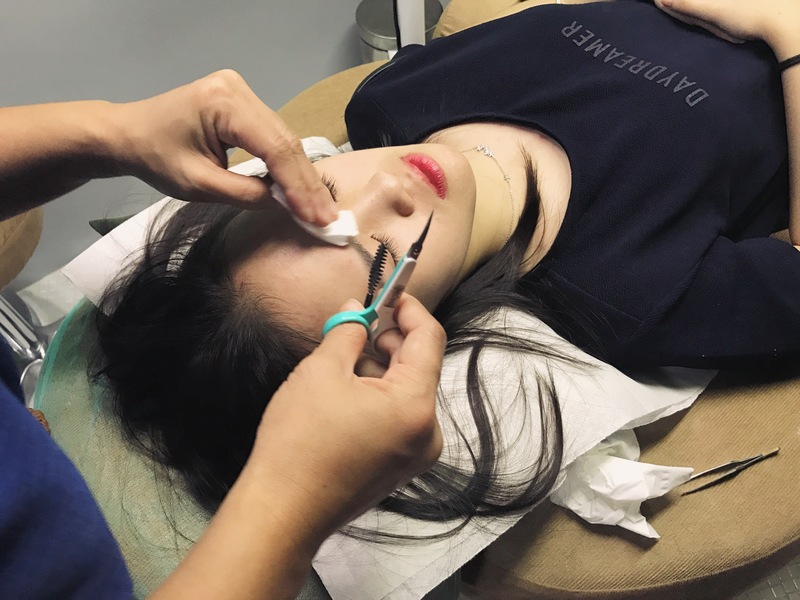 They have specific areas for those who want to go for treatments such as Eye Define which gives the effect of wearing subtle eyeliner to make your eyes pop. There’s also Lip Define where your lip color is safely enhanced to look healthier, while remaining natural. This is especially useful for those with darker, thinning lips. 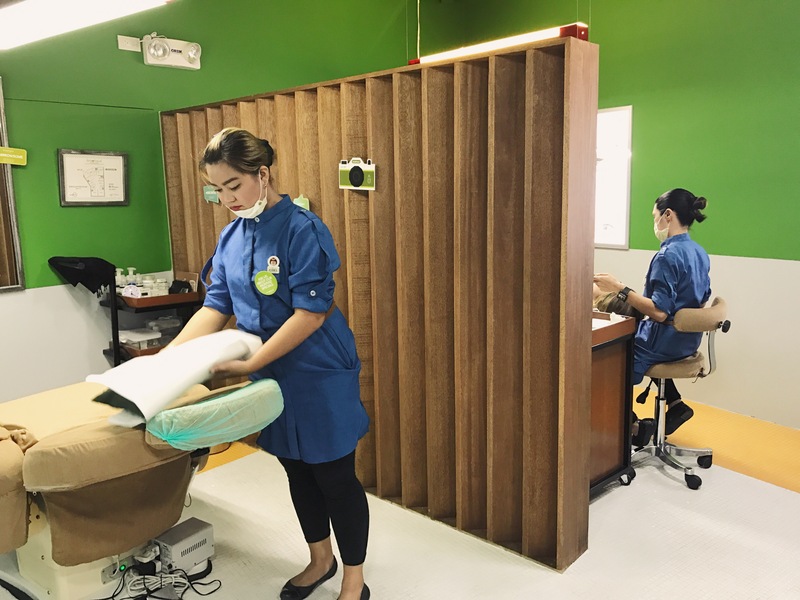 Hygiene is also incredibly strict, and all materials used are chosen in the best interest of the consumer, so you know you’re getting the best experience!